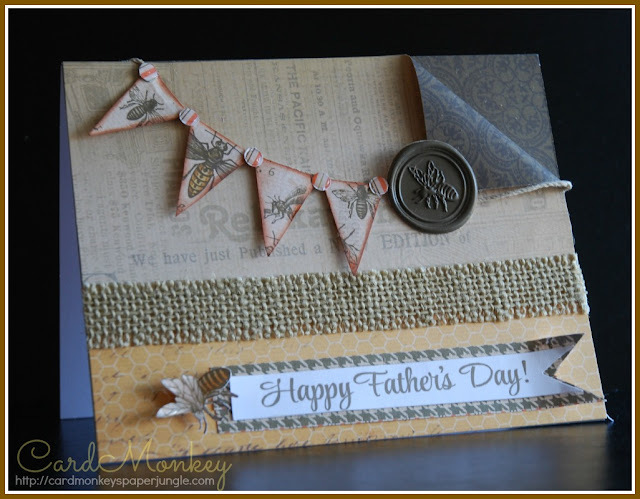 CardMonkey's Paper Jungle: CTMH Week: Stock Up on Retiring Embellishments! Today, I'm kicking off what I'll call my featured "CLOSE TO MY HEART WEEK", since I will be traveling to Orlando, FL to attend the annual CTMH convention. It's my first time attending, and I am VERY excited! So let me start by sharing with you the news we Independent Consultants received last week about which of the products are retiring from CTMH at the end of July 2013, and where there is limited availability until then. As your Close To My Heart Consultant, it's my pleasure to show you and actually use the Accessories and Embellishments manufactured and/or distributed by CTMH. 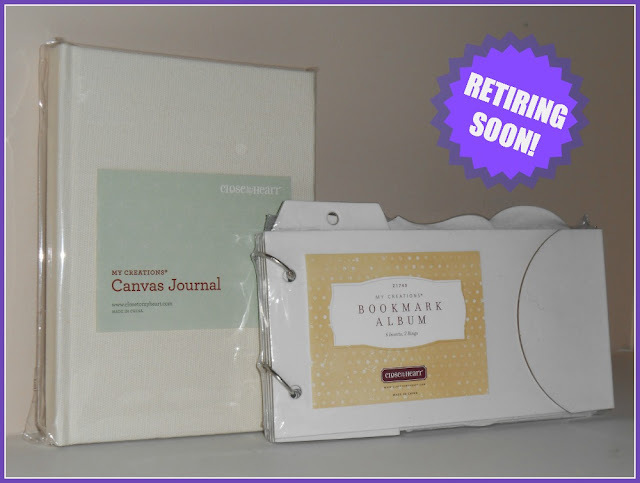 Many, however, are retiring at the end of July to make room for new products coming on board in the Autumn/Winter 2013 Idea Book (being premiered at Convention!). 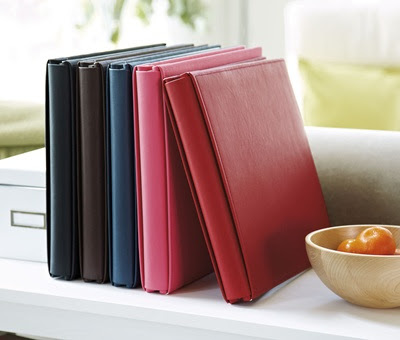 Using your Spring/Summer Idea Book (with this image, at left, on the cover) and starting with Page 116, I'd like to review with you which are the retiring Accessories or Embellishments. At the end of the list, I'll give you my personal recommendations on those that I believe you should stock up on while you can. Please note: It is not anticipated that these items will go on sale or fall onto what is known as CTMH's "While Supplies Last" (WSL) list. You can always check the discounted WSL list by going HERE. You'll find plenty of bargains there, so don't miss out. And those items on the WSL list go quickly; first come, first served. Order them while you can! Z1474 Kraft Die-Cut Cards & Envelopes 6x6"
Only the New England Ivy (shown at left, above) is retiring. Now, here are my recommendations: The CTMH Embossing Powders are the best I've found among the many, many I have tried. I will be stocking up on Red, Cranberry and Topiary to use on my Christmas cards. For my own use, I am ordering several jars of Black and White -- both great for embellishing sentiments in cards, in my opinion. You will not be sorry if you follow my lead on this. I also am highly recommending the CTMH Kraft envelopes in whatever size you use them most. 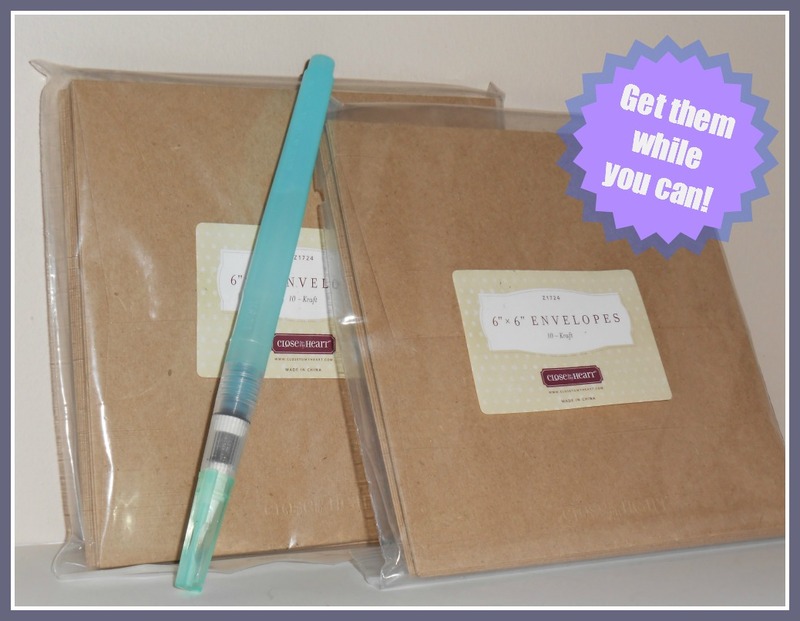 I am especially ordering the A2 size (Z1722 4-1/4" x 5-1/2" Kraft Envelopes) and A7 size (Z1723 5" x 7" Kraft Envelopes) again, for my own use. I already have enough of the other, more unusual sizes (3x3" and 6x6", pictured above). I have not used the CTMH die-cut kraft collection -- just my personal preference. I will also be buying some of the black tulle ribbon (Z1798 Black Tulle Ribbon) for my upcoming Halloween projects. One more to consider: the 2" Scallop Punch is very nice, and very useful. I have a non-CTMH one like it, however, so have not bought this one. I think it's a bit pricey @ CTMH; if I can find a similar quality elsewhere where I can use my weekly coupons (Joann's, Michael's, ACMoore's), that's what I'd do. But consider that 2" Scallop Punches are hard to find, and not all quality is the same. Shop around. OK, that's it for today. Stop back tomorrow when I'll be letting you know which CTMH paper lines are retiring, and which will be carried over into the next catalog. Have fun at the convention... I always wanted to go when I was a CTMH consultant! Thanks for sharing all this info and for making it plain and clear. your recommendations are just what the dr. ordered since I am new to CTMH. Thanks!